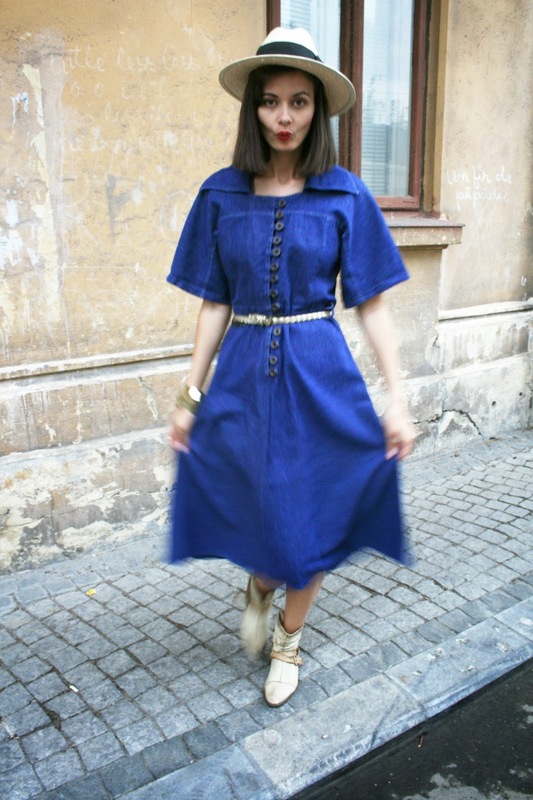 Soooooo I found this amazing blue jeans dress that made me feel like a 70’s farm girl! It’s still in fashion even if it’s vintage! I think this style is classic and will remain like this in the future! Can you imagine yourself in the some Arizona desert, or even in some corn fields, the sun up in the sky, your hat on? How about that feeling instead of the aglomeration and polution the city give you everyday? Wind in the hair, nature really close,oh well…HAPINESS! So here is the dress! Please enjoy it!